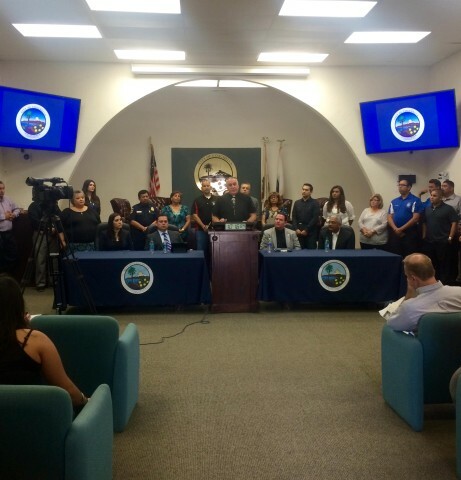 Following the death of 20 year-old Anthony Delatorre on a Coachella street, the mayor invited organizations to strategize ways to keep young people off the streets and away from danger, and to engage youth in meeting these goals. The discussion involved youth leadership programs designed to deter at-risk youth from getting hooked into cycles of violence, and finding a way to get youth involved in the process in a consistent way, so they could share their ideas and experiences. “It’s very important that we need to keep this momentum going. I’m just excited that everyone is here, and we’re all working to fix this. Is there a fix for this? We don’t know, but we have to start somewhere.” Read on at Coachella Unincorporated. This entry was posted on April 9, 2015 by Editor in Coachella Unincorporated, Print and tagged Community organizing, Gangs, gun violence.